Because of certain posts from Joe Carducci via a social media I rarely have any truck with, I recently had a chance to revisit some things that were important in my musical past. It’s easy to overlook things and people that never made it into the bright spots of the media limelight because they didn’t have a “Star Turn!” or no one was “Talking All About Them!” or they were never one of today’s “Influencers!” or… whatever. Thru 2018 I was able to bring some of the overlooked history of the ol’ “Punky Rock” out into reasonable areas of folks’ attention. Otherwise, both my San Pedro and Hermosa Beach art shows would have been a parade of the same images and stories that the public expects, regardless of well-heeled sensibilities. History, especially music history, can’t be successfully trifled with. There’s too much factual information that’ll rise to the surface and bite a majority of the culturistas right in their hip asses. Real influence? Yeah, feel the teeth. I had the good sense to invite Randy Nauert onto the Hermosa Beach music history panel at the closing of my “Ride The Wild Wheels” photography show on Saturday, November 3. It was me, Carducci, Gloria Cadena (wife of legendary jazz producer Ozzie Cadena, and Dezo’s mom) and Randy. There’s a lot to know about the tiny city’s music that ranged from Jazz to Surf to Punk. But easily, Randy had the most mind-blowing stories that reach deep into that thing we call popular music. 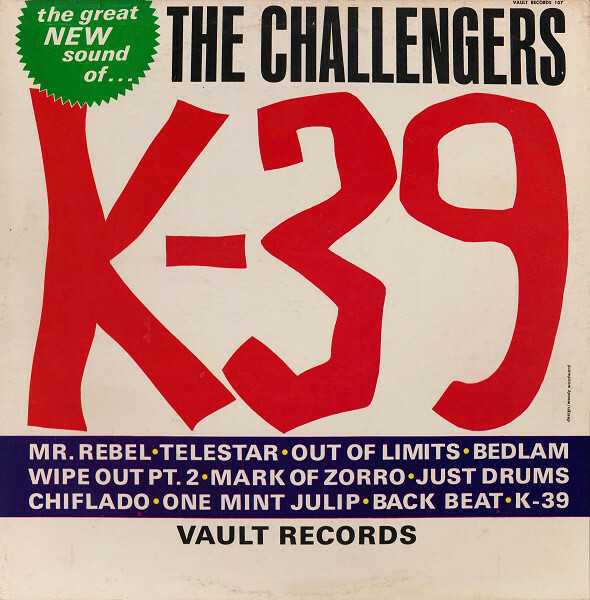 Studying his bass lines on The Challengers’ K-39 album in 1965 was my first chance to actually play a noted instrument along with something. He began as a neophyte too. He did it all, saw it all, met them all, and lost it all in the Malibu fires a few months ago. Unfortunately, we lost him on Thurs, Feb. 7 but we’ve not lost his stories, nor the sense of where they came from.